Whether it be a whole turkey or roasted beef, a carving knife can help you create thin slices without any signs of tearing. 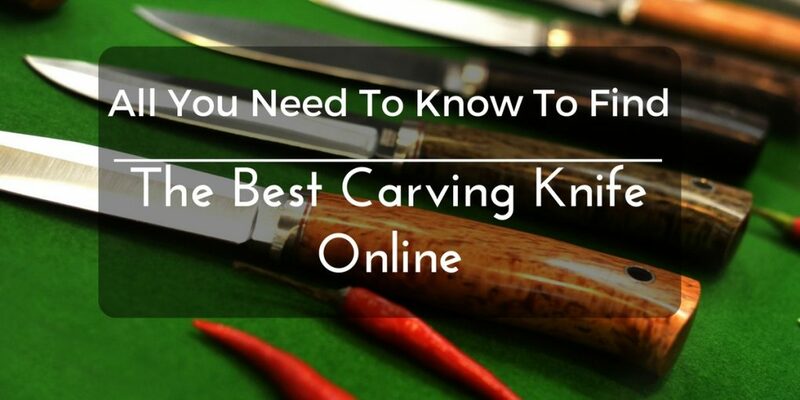 If you want to know which carving knife you should get, simply read on and see some of the best carving knives you can buy online. 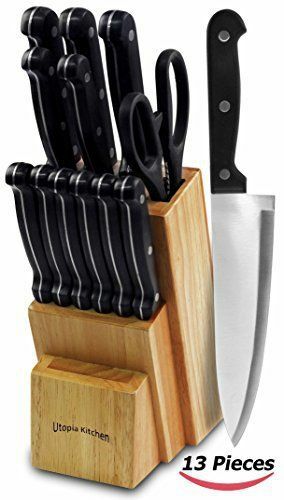 If you have stepped into the kitchen aisle at a supermarket, I’m sure you must have noticed the plethora of knives neatly hanging on hooks or placed on knife blocks just ready to be bought. 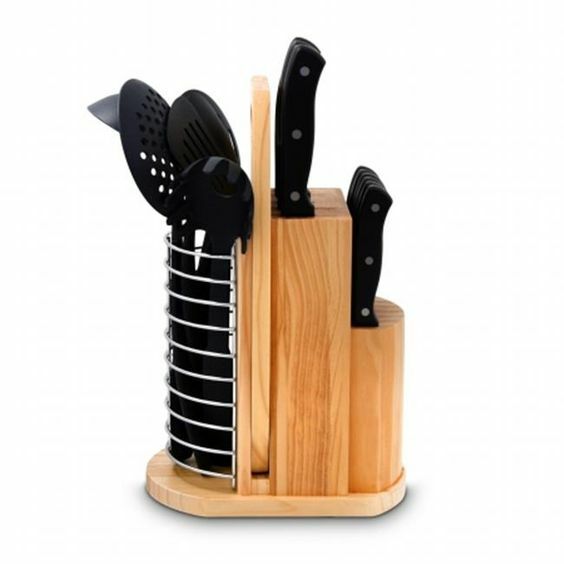 If you don’t know much about cooking utensils, it would be normal to think that all knives serve the sole purpose of slicing or chopping food. However, there are actually different types of knives you can choose from, whereas each was made for a certain purpose. The carving knife for one was created for easy maneuvering through large thick chunks of meat. It is often used to cut meat from poultry such as whole turkeys or chickens, roasts with the bone in like ham or leg of lamb, large fish such as salmon, and dense meats such as prosciutto. Carving knives usually come with a narrow blade that is eight up to twelve inches long. Its blade is also thinner that most knives and it has a tapered sharp point. The carving knife’s unique design makes it ideal for cutting hard-to-reach meat on all areas including ones near the bones. 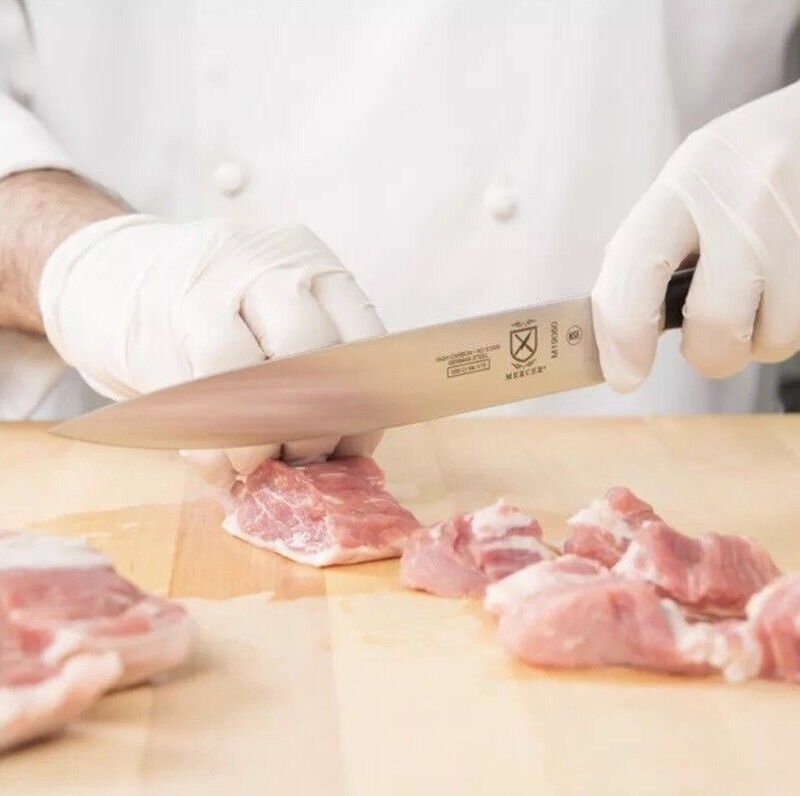 If you have never used a proper carving knife before, I’m sure you are very familiar with the look of torn meat slices, especially if you usually handle poultry. The main purpose of a carving knife is to let you create clean thin and thick slices of meat off bones and cartilage. If you decide to get a fine carving knife, you can cut slices of meat up to a millimeter thin without tearing the meat. 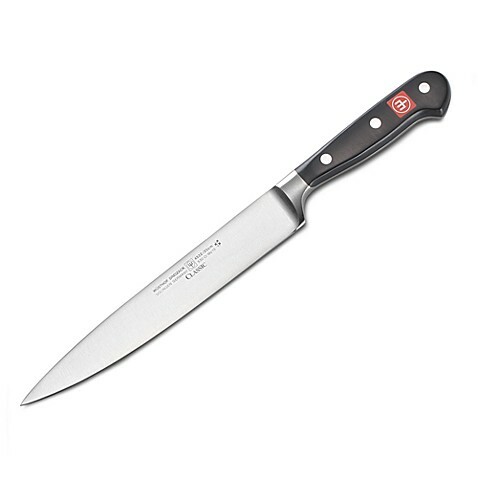 What’s great about a carving knife is that it helps you reduce the wasted meat that can’t be cut with a normal chef’s knife. Once you get a carving knife for your kitchen, you will surely never use any other knife to cut and serve meat with. There are several types of carving knives you can choose in the market today, the most common one you will find is one with a long ten-inch blade that is tapered to a point. These types are ideal for most kinds of meat since it has a medium length that will let you cut both small and larger chunks of meat with one slice. The second most common type you will find is a shorter one with a blade around eight inches. 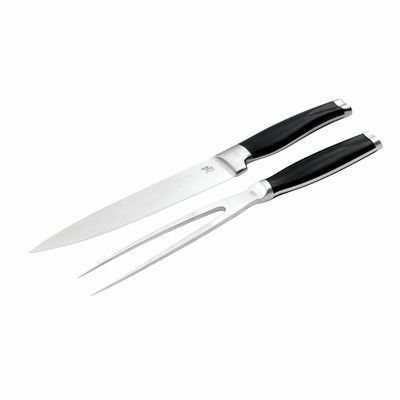 This type is great for cutting smaller pieces of meat such as chickens and pot roasts. What’s great about shorter carving knives is that they’re easier to twist and turn around bones and cartilages. The third type you will find is one with a fluted blade. A fluted blade is one that has these small bumps that collect air and reduces the vacuum when you cut through a thick slice of meat. Carving knives with fluted blades are ideal for cutting more fragile meat such as fish and prosciutto. 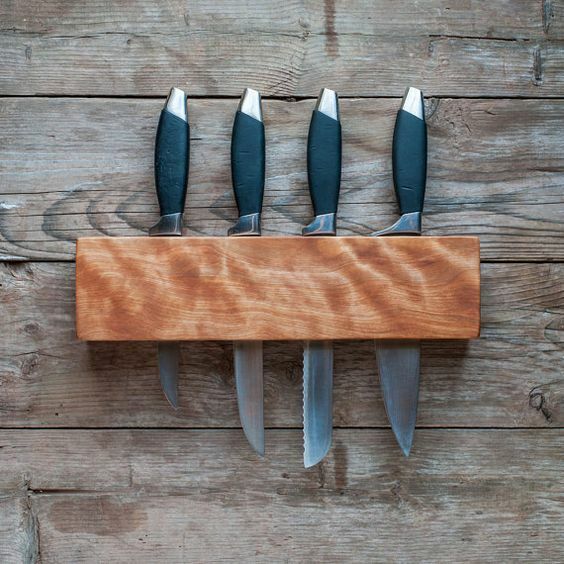 Knives can be made with different kinds of materials including steel, carbon steel, and even ceramics. when it comes to choosing a fine carving knife, you may want to check out ones made with carbon steel. What makes a carbon steel knife a great choice is that it retains its edge far longer than other knives. It is also easier to sharpen and maintain. Most carving knives are thin and long, making it quite flexible. Try to go with a knife that comes with medium flex. A flexible carving knife will let you cut off meat from areas near bones and cartilages with ease. Plus, you wouldn’t have to twist and turn the knife so much when it comes to contouring the meat. Try to choose a knife that you will feel comfortable holding. If you do not like how the knife feels in your hand, there is a pretty big chance that you won’t use it. Make sure the knife is comfortable to hold at many angles and comes with a weight that you can bear even for long periods of time. I myself find knives made from one piece of steel to be better than knives made with wooden or plastic handles because ones made with separate handles tend to become flimsy overtime. The longer you carving knife’s blade is, the larger chunks of meat you can cut. If you want to get a carving knife that comes with medium length, you ought to choose one that it no shorter than 10-inches. A high quality-carving knife does not come at a low price. This is why you should also be mindful of the maintenance costs before you get one. Try to choose a carving knife that comes with a lifetime warranty or a fine case. Of course you should be mindful of the price of your cutlery. Getting a high-quality piece of cutlery is no joke. High-end ones from well-known brands can set you back hundreds of dollars. However, this does not mean that cheaper ones do not perform as well as their pricey counterparts. You will just have to make sure that what you are getting it sturdy, can last for at least a year, and is ultimately safe to use. Wusthof is a well-known brand in the cutlery industry because of their fine knives that are sturdy and can lasts for years. Their 10-inch hollow edge carving knife can be a great choice for you if you are always handling dense and fragile meat such as smoked salmon, poultry, ham, prosciutto, and roasts. What’s great about this carving knife is that the hollows on its blade completely prevent sliced food from sticking to the blade. Another interesting feature of this carving knife is that its blade has been forged from a single piece of high carbon stainless steel. Shun knives are ideal products from the the land of the rising sun. Shun knives are made through the same method used to creat Japanese Katanas. Several layers of VG-max super stell and Damascus stainless steel were forged into a single blade that shines like a mirror. If you use this knife to carve a whole turkey in front of your guests, you can surely use it as a conversation piece. After all, you are practically slicing meat with a miniature Katana. 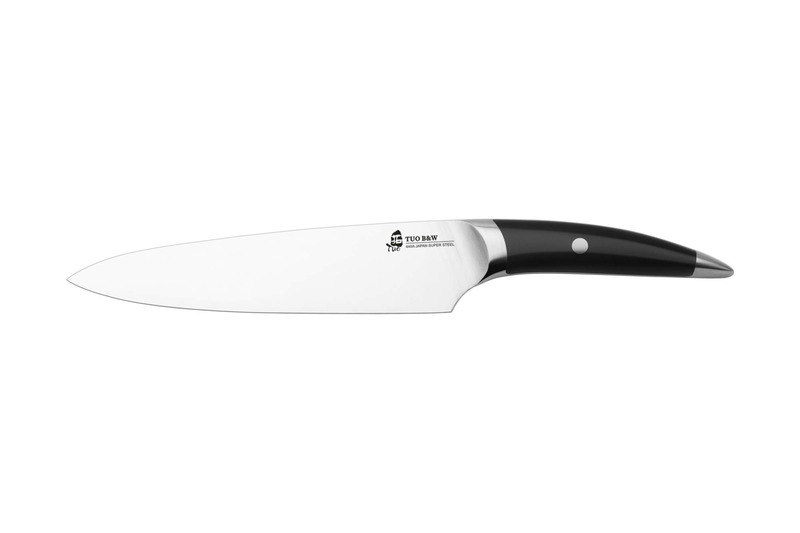 ​Another Wusthof knife in this list is the classic 8-inch carving knife. This carving knife comes with a very sharp edge because it is made with high carbon steel. It can cut through roast meats life a hot knife through butter. What’s more is that it comes with a composite handle that’s very comfortable to grip even if you have small hands. ​If you are looking for a carving knife that will provide you with ultimate control, the Mercer Culinary Genesis Carving Knife is the best choice for you. It comes with the same steel that is used to make pricey Wusthofs. Out of the box this knife comes with a razor like edge. With this knife in your hand, you will be able to cut through smoked sal﻿﻿mon, ham, or roast beef really quick without any tears. ​Though there are plenty types of cutlery under the TUO brand, I don’t think that it’s at par with the ones I included in this list. But when I tried their carving knife, I was very impressed with everything about it. It comes with a nice Japanese steel handle that gives it a very interesting look, a very flexible blade that makes it zip easily through lean turkey meat, and it can let you slice a piece of foie gras away from the main lobe with ease. If you are still undecided on which carving knife you should get, I really recommend you go with the Wusthof Classic 10-Inch Hollow Edge Carving Knife. It comes with a medium length blade that’s perfect for cutting both large and small pieces of meat, it has a classic looking design, it’s made with high carbon steel, and it is very comfortable to the grip. If you though this article was helpful, please share it with your friends or leave us your feedback below. Stay tuned if you would like to know more about other cooking utensils, happy reading!